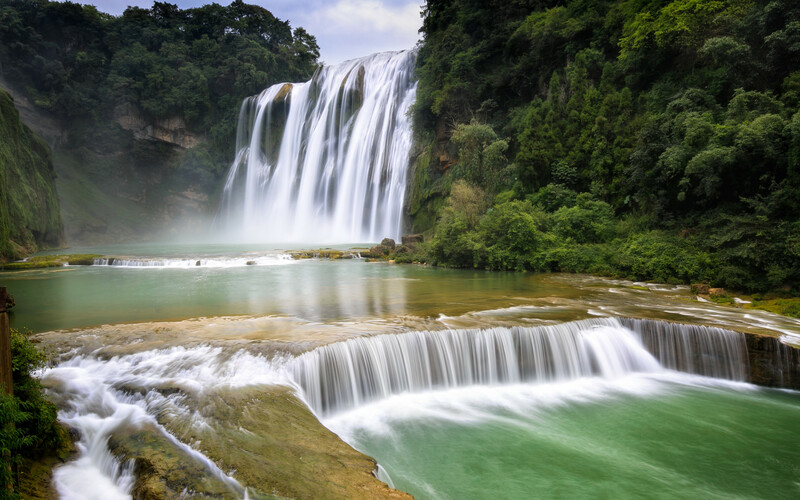 With the world-famous and impressive Huangguoshu Waterfall in its vicinity, Anshun City sees a lot of tourists from different parts of the world. It is a prefecture-level city lying in the mountainous Guizhou Province of China. The landscape surrounding the city consists of unusual and colorful karst rock formations, rivers, gorges, stone forests, lakes, etc. 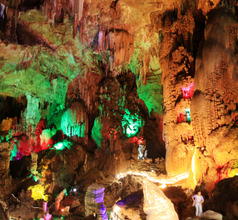 There are almost 1,200 caves and 100 waterfalls in the scenic area surrounding the city. Ecotourism is a big business in Anshun and the hospitality sector has developed rapidly in the last few decades. Despite the development of infrastructure and tourist facilities, the city of Anshun has an irresistible old-world charm. Its mountain slopes and valleys are dotted with several villages inhabited by the Miao and Dong ethnic groups who have made the region their home since ancient times. 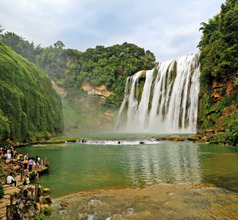 The tourist attractions near Anshun not only draw millions of tourists but some of the scenic spots have featured in Hollywood movies and television serials. The dense forests and amazing water bodies have a picture-perfect quality that has always enamored painters, poets, writers, naturalists, photographers, and tourists. Downtown Anshun has many 3, 4, and 5-star hotels with spacious and tastefully decorated rooms. They offer many amenities for the comfort of domestic and overseas tourists, like International gourmet meals, 24x7 housekeeping and laundry services, in-room dining facility, concierge service, swimming pools, business centers, recreational facilities, airport shuttle service, and more. For those traveling on a limited budget, there are other grade-one hotels, guesthouses, inns, and youth hostels. The rooms are clean by the amenities offered by them are limited. 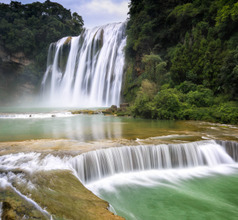 The most famous tourist attraction near Anshun City is the Huangguoshu Waterfall. It is 74 meters tall and 81 meters wide and is the largest one in China. The waterfall descends with a thundering sound into the Xiniu pond below. While doing so, it sprays foam so high that it reaches up to 100 meters. Additionally, this milky waterfall is surrounded by colorful karst rock formations that add to the mystic quality of the attraction. Nearby are the Water-Curtain Cave and the Little Moon Stage (a naturally-formed viewing platform). The best time to visit the waterfall is between 9 and 11 AM. 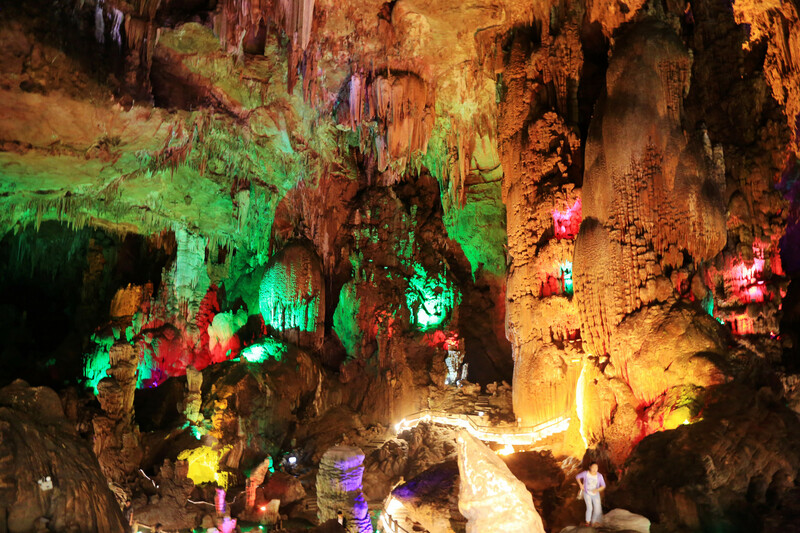 Another spectacular must-see near Anshun is the Dragon Palace Cave Scenic Area which consists of countless waterfalls and nearly 90 magnificent karst caves. The area has an underground tunnel which can be explored by boat in order to view the magnificent stalactites and stalagmites. A few kilometers from the Huangguoshu Waterfall is the beautiful Tianxingqiao Scenic Resort. The abundant water bodies, dense forests, colorful caves, and karst rocks have inspired television producers to shoot a few serials in this tourist spot. While visiting Anshun City one must not miss visiting at least one of the picturesque ethnic villages located in the mountains. The Tianlong Village is a place inhabited by the Tun-Bao people who are the descendants of the Ming Dynasty Han Chinese army soldiers. The villagers still wear traditional costumes worn in those days and still follow the same customs and traditions. Serious rock climbers visit Anshun at least once in their lifetime. This is because the Getu Valley has one of the most splendid rock climbing terrains in the region. At a distance of 20 minutes from the middle of town, Anshun Huangguoshu is a small airport that attends to Anshun city, in the Guizhou province of China. A taxi would cost around RMB30 in to the city. 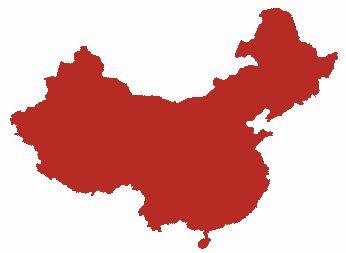 The cities linked by this airstrip are Beijing, Shanghai, Hangzhou, Haikou, Nanjing, Xi’an, Jinghong and Lijiang. The major carriers with the most flights are China United Airlines, Loong Air, Spring Airlines, 9 Air and Shangdong Airlines. The night markets are the best place to try out the local food specialties of Anshun City. The markets are filled with several restaurants, food stalls, kiosks, and roadside cafes that serve delicious cuisine. For a superb gastronomical experience, one will have to visit either East Street, Guofu Street, or Tashan Street. 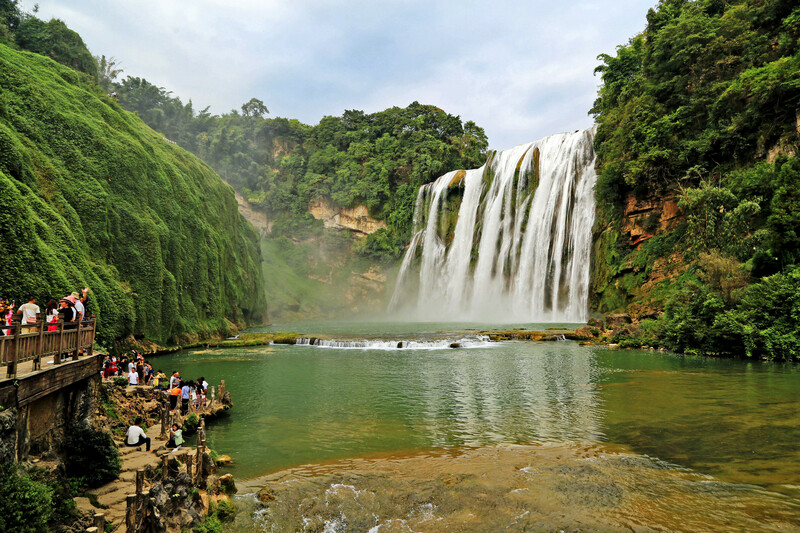 There are a few restaurants in the Huangguoshu Waterfall Scenic Area where one can try out local delicacies while admiring the magnificent view. The local food in Anshun City is spicy and sour with a lot of variety. Some of their well-known dishes include buckwheat cool bean jelly and fried egg cake, broiled mini Xiang pig, cured pork with tofu, buckwheat jellied noodles, Guo Zha (glutinous rice cake), sour fish soup, Silk Babies (glutinous rice wraps), Lover’s Tofu (fiery sandwich), etc.